Do amalgams fracture teeth more than composite? There are not many good studies on this important topic but the answer appears to be yes. However, it appears that the age, dental habits, and the size of the restoration are more important. Also the type of crack, cusp fracture or vertical root fracture, seem to differ. In the short term the amalgams did fracture the teeth at a higher rate than the composite. Amalgams did not fracture the teeth at significantly higher rates looking at the 12 year data. So this study appears to show that amalgam does fracture teeth more. Hansen 1988 Study on RCT premolars shows the difference in fracture rates between amalgam and resin-restored teeth was highly significant at the 0–3 year interval. 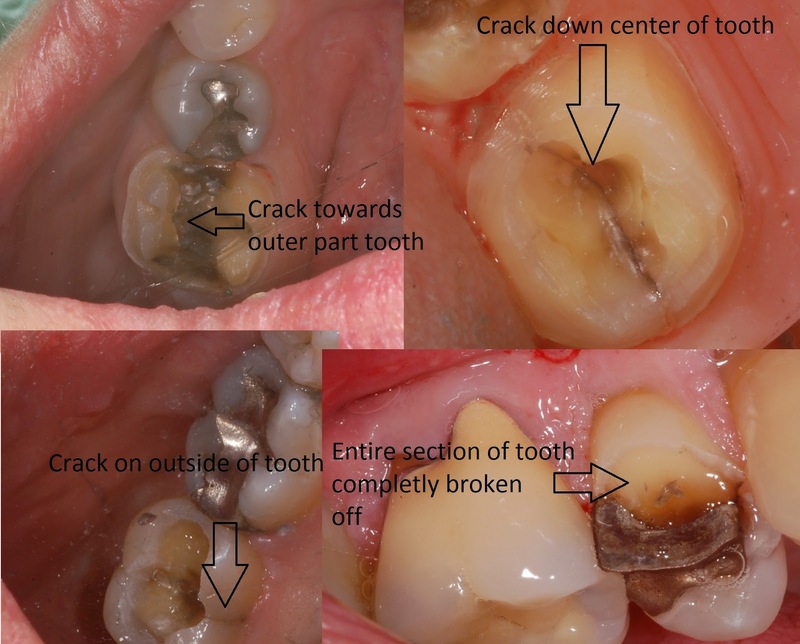 The Results = Compared with resin (4.7%) or porcelain (0.9%), the use of non-bonded inlay restoration materials such as gold (20.5%) or amalgam (18.7%) increased the occurrence of longitudinal tooth fractures. While I do personally agree with their statement I am not sure if their study truly shows this to be accurate or not. It does not appear they qualified percentages of restorations in their patient base. If they had recorded the total number of each restoration in each patient they saw for endo they could have used that data as a baseline for how many of each type of restorations they were seeing. Their data may just reflect the fact that they saw patients with more gold inlays and amalgams than porcelain inlays and composites. Depending on their patient base there is a high likelihood that the majority of the fillings were in fact amalgam. Giving the % of cracked teeth by material without reference to how often a certain type of material is seen or how old those fillings are is pretty useless. To truly test this one would need to know both the age AND the relative number of restorations seen in the sample base. It seems to me that this study may show nothing more than the fact that amalgam and gold were popular in the past.